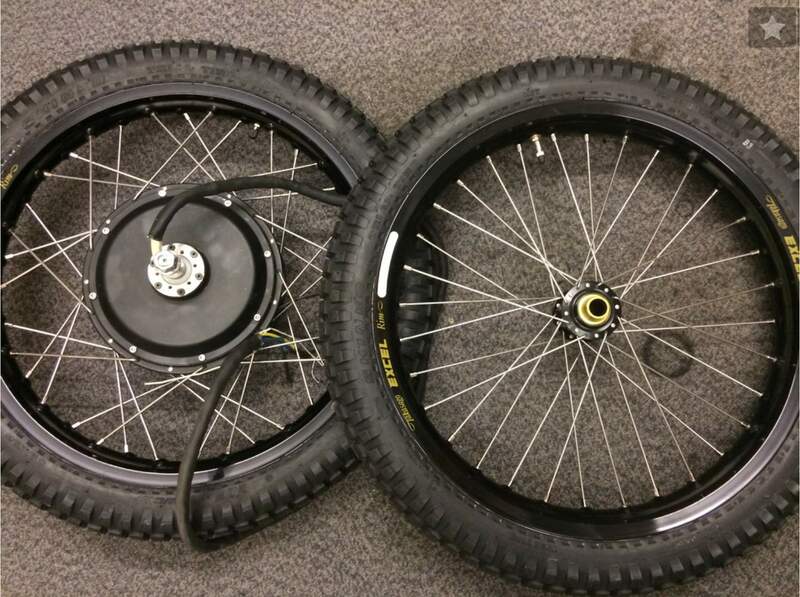 The reaction to a radial load of a well-tensioned wire spoked wheel, such as by a rider sitting on a bicycle, is that the wheel flattens slightly near the ground contact area. The rest of the wheel remains approximately circular. 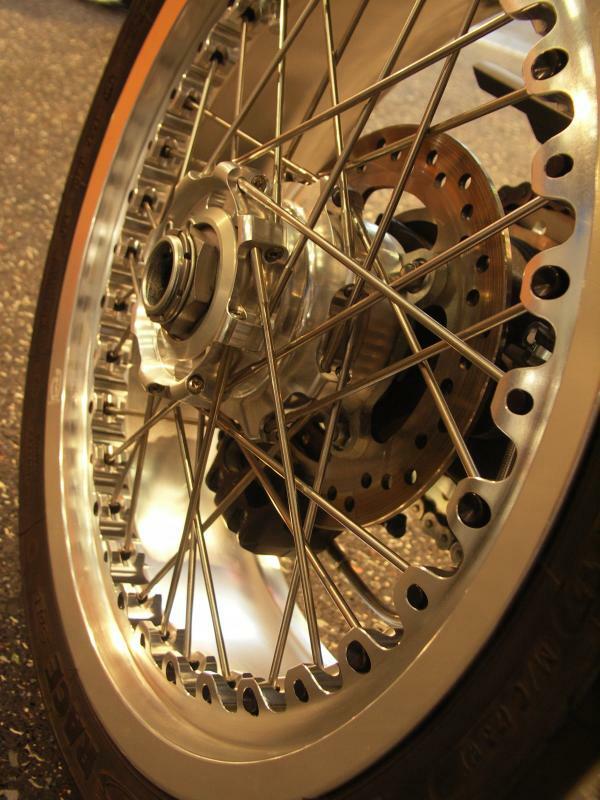 The tension of all the spokes do not increase significantly. 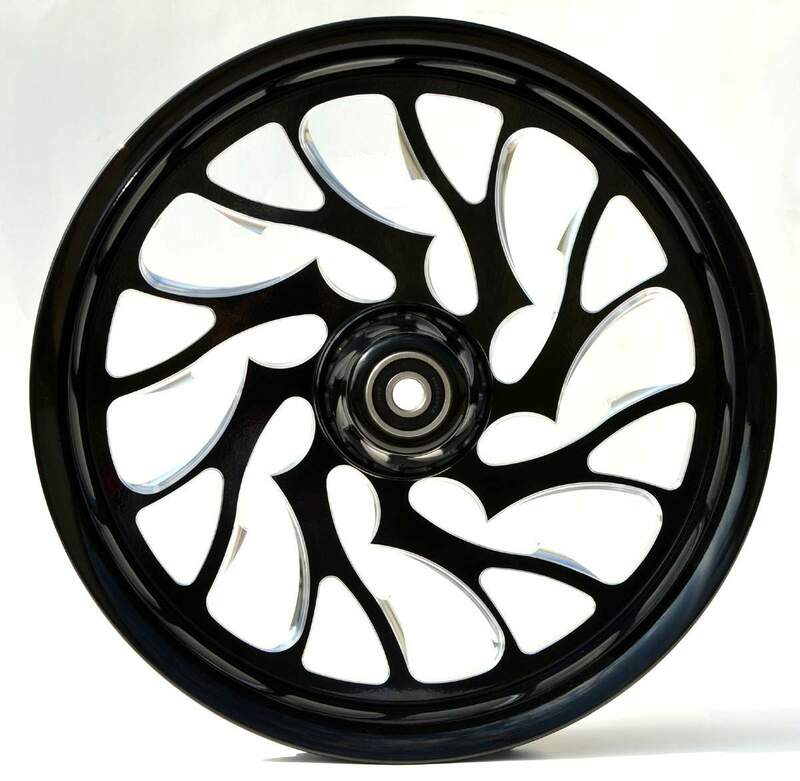 Instead, only the spokes directly under the hub decrease their tension Despite being composed of thin and relatively flexible spokes, wire wheels are radially stiff and provide very little suspension compliance compared to even high-pressure tires. On the other hand the current fashionable and lighter alloy tires are made from an alloy of aluminium or magnesium. They are typically lighter for the same strength and provide better heat conduction. And for its lighter weight, alloy wheels can improve the handling and increase the speed at a greater rate. They also allow suspension to follow the terrain more closely and thus improve grip. Better heat conduction can help dissipate heat from the brakes, which improves braking performance in more demanding driving conditions and reduces the chance of brake failure due to overheating. At a non-technical level it is believed that alloy wheels result in improving the bikes looks and enhance its cosmetic value. This is certainly debatable. 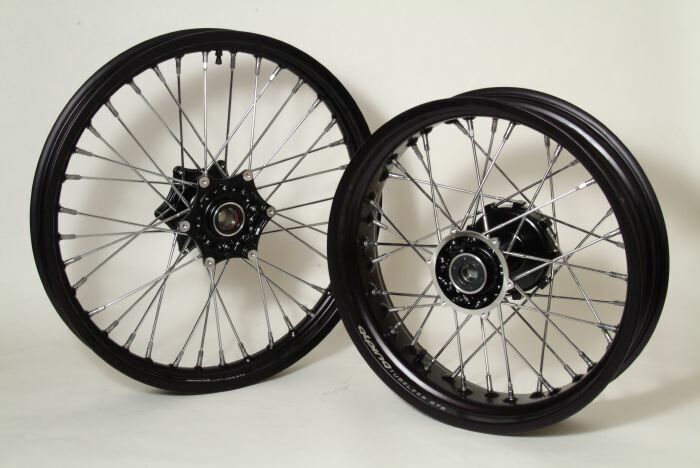 The main problem of the alloy wheels are that they are made of whole pieces of metal and as we know metal can get corroded and cause edges to be created into the rim and thus cause the bike tires to leak. Also, alloy wheels are more difficult to repair than spoke wheels when bent, but their higher price usually makes repairs cheaper than replacement. 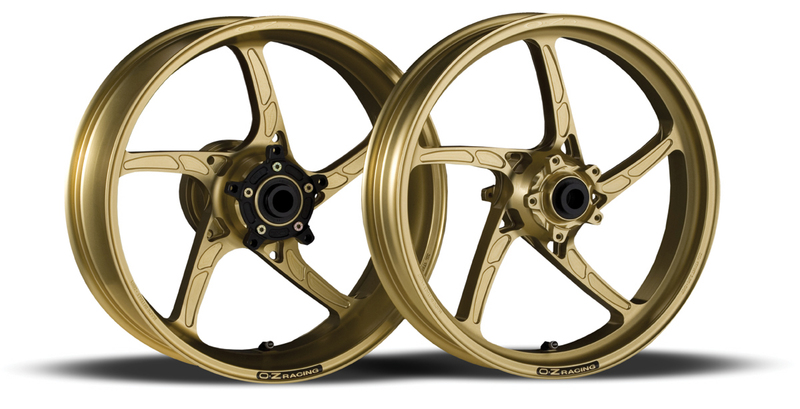 And moreover alloy wheels are more expensive to produce than standard spoke wheels.